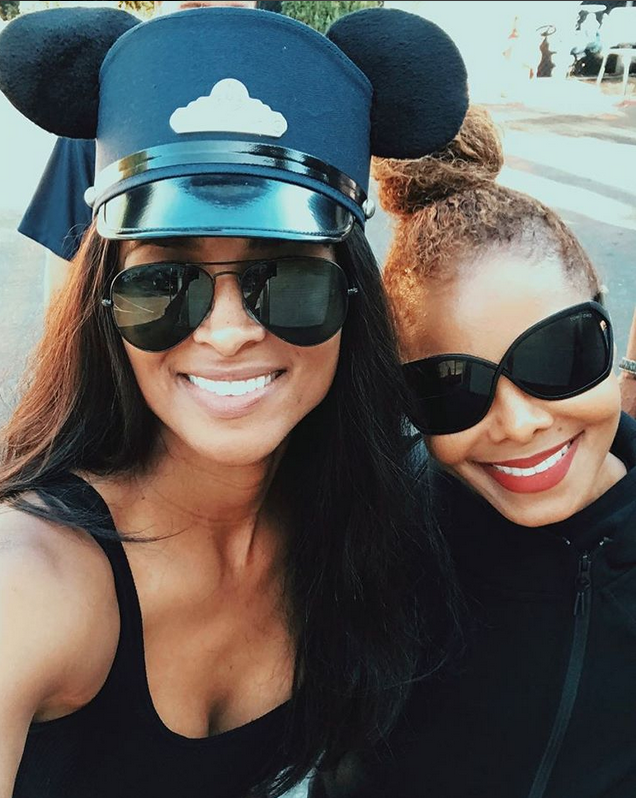 Janet Jackson celebrated her sold-out concert at the Hollywood Bowl with some family fun at Disneyland! On Tuesday, the singer enjoyed quality time with her 9-month-old son Eissa Al Mana and friends, including Ciara and her 3-year-old son Future Zahir, as seen on Jackson’s former backup dancer James Collins’ Instagram Story. In a group photo with Mickey Mouse, Jackson, who is dressed in head-to-toe black, and Ciara, who wore a conductor hat with Mickey ears, are all smiles as they hold onto their boys. Jackson and her infant child were spotted riding the King Arthur Carousel. In addition, the mother of one and Ciara were also seen on Space Mountain. In January, Jackson welcomed her first child with billionaire husband Wissam Al Mana, whom she separated from three months later. Neither Ciara’s husband Russell Wilson nor the couple’s 5-month-old daughter Sienna Princess were in attendance at the Anaheim, California, theme park.